If you want to make a beautiful presentation for guests or just for yourself, start with the yogurt in a wide shallow bowl, surround the edges with the berries in an artfully arranged pattern, and place the sliced almonds in a little pile in the center. 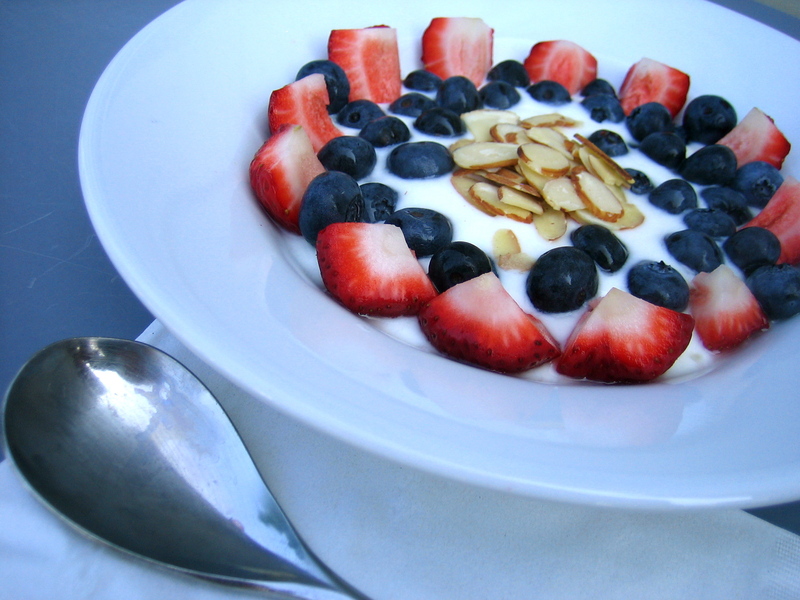 If you’re adding the oats, put them in the middle of the berries, and then top with the sliced almonds. When I’m in a hurry I just toss it all together in a bowl and dig in!